1. That I cannot and will not be perfect. No matter how hard I try, I will not ever find a perfect version of myself as an author. There will always be room for improvement. 2. Not everyone will like my work and that is a GOOD thing. It took awhile to learn this one. I've come to realize that those people who do not like my work are weeding themselves out of my target market which does me a favor. I don't have to market to them which saves me money and time in the long run! 3. Fast doesn't always equal good. When I first started writing, I wanted to get things out as quickly as possible. But what happened was work that wasn't as finished as it could be and sometimes had errors. I've learned that taking that little bit of extra time pays off in better books. 4. Don't try to copy anyone else's way of doing things. The way they outline may not work for me. The way they plot may not work for me. Their character development may not work for me. I had to learn to find my own way. 5. Marketing is important. It just IS. Like it or not, you cannot self publish because you love to write and then refuse to market your books. Someone has to promote your work or it will sit on the digital bookshelf forever. 6. Make friends with other authors. This is so important. Don't try to go it alone. 7. Develop a routine. Write everyday (or at least on week days) whether you feel like it or not. 8. Read the work of other authors in your genre. Know the competition. Try to figure out why readers love their work so you can offer more options to that target market. 9. 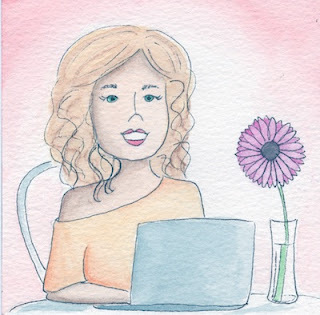 Decide whether you want to be in the publishing business or the struggling author business. Because if you want to make an income, you must learn to think like a publisher. 10. Have fun! Don't be so serious all the time. Enjoy the ride! When twenty-four year old Bella Clay experiences yet another major loss in her life, she is forced to come home and become a young, single mother to her seven year old nephew. 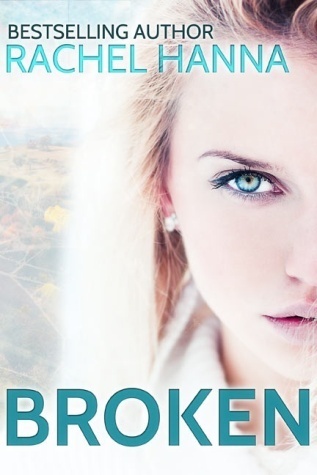 No one in the small town of Madison Falls knows just how damaged she is, and they certainly don't know her dirty little secret about where's she been for the last two years. Grant Brady is the local hunk who works as the elementary school PE and history teacher. When he takes an interest in helping Bella start over in Madison Falls, she tries to push him away afraid that he will find out her dark secrets. What she doesn't know is that Grant has a secret of his own. It has been a while since I read a novella and it always takes me by surprise how different it is from a full length novel. 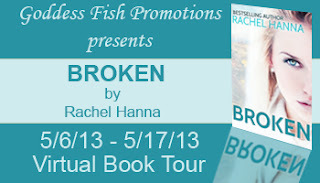 Broken is very fast paced, to the point, with mostly dialogues and very little descriptions, which suits the story. Bella Clay has had a very difficult upbringing, she and her sister became orphans when they were very young. They ended up in foster care and a couple of times in not so nice families, which ended up scarring them for life. She has never talked about it and isn't going to start talking about it very soon. Now her sister has died and she has to move back to take care of him. Being an instant mom and creating a family for her nephew isn't that easy when you never had an example for that. This is something that is pretty obvious in the book, even though Bella never knew that feeling of family she is starving for it, constantly thinking what if. Grant is Ethan's teacher, but he considers it his southern duty to help her out, at least that's what he tells her. Which is part of it, but not nearly all there is to it. He likes Bella, simple as that. Now Bella has never let anyone in her life get close to her, so if Grant wants to change that he will have to work for it. Mostly Bella is afraid that when he finds out abut her secret, he would never want to talk to her again. She will have to learn to trust people. The entire story is written very idealistic, which is in high contrast with Bella's past and everything that has happened with Ethan's mom etc. So even though there are secrets and Bella doesn't open up, you pretty mich know the ending from the beginning of the book. It's all just so perfect even though their past is anything but. Even a bit over the top soap opera style. No real surprises in the book, a bit dramatic, but a fun read. Very good points made. Hindsight is amazing!! It is a different experience reading a novella, but I enjoy that too. I enjoyed reading the ten things, thank you. Thanks for sharing the blurb and excerpt!